Melissa MacCoubrey began working at Ubisoft in 2013 as a scriptwriting intern and has since had the opportunity to work on many of their titles. Her most recent project is Assassin’s Creed Odyssey which she’s worked on as Narrative Director. 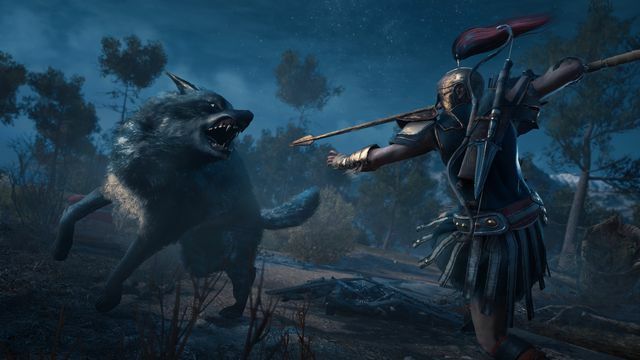 Assassin’s Creed Odyssey is this year’s entry in Ubisoft’s Assassin’s Creed franchise. The game takes the player to the Golden Age of Ancient Greece and the Peloponnesian War. It’s available now for PC, PS4 and Xbox One. I caught up with Melissa to talk about her role, discuss her involvement in Assassin’s Creed Odyssey and to find out a little more about the game and the challenges she faced. Hi Melissa, thanks for taking the time to talk to Entertainment Focus. How are you today? I’m awesome: I’m doing cartwheels inside while pretending to be cool as a cucumber. You know, the usual. You’re currently working at Ubisoft Quebec as the Narrative Director on Assassin’s Creed Odyssey. Please could you give our readers a little background on yourself, what your role entails and what other projects that you’ve worked on? Sure! I started at Ubisoft as an Intern Scriptwriter and have worked on a number of Assassin’s Creed titles such as Assassin’s Creed Freedom Cry and Assassin’s Creed Syndicate, and also worked a little bit on Far Cry 4. As Narrative Director, I work very closely with the Creative and Game Director to establish the high level narrative and story, and work with a team of talented writers that help it all come to life. Do you have any advice for anyone wanting to get into games in a similar role? Yes! Apply, apply, apply (it’s statistically proven that minorities especially will not apply for jobs they feel they are unqualified for), and make as many stories as you can. I always recommend that game writers to-be participate in game jams and make their own interactive stories in Twine and RPG Maker to get a feel for what it’s like to write in an interactive environment. The previous game, Assassin’s Creed Origins, was set in Ancient Egypt. 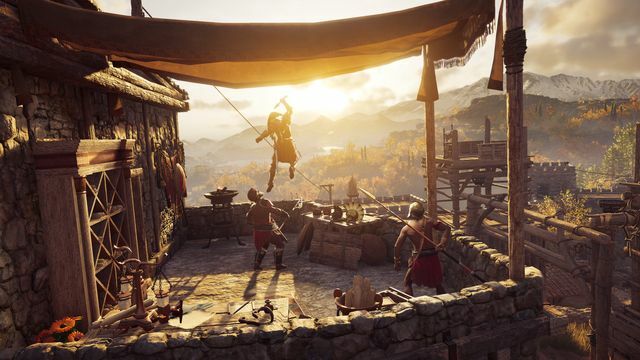 Odyssey moves the action to Ancient Greece, could you give us some detail on the new setting? 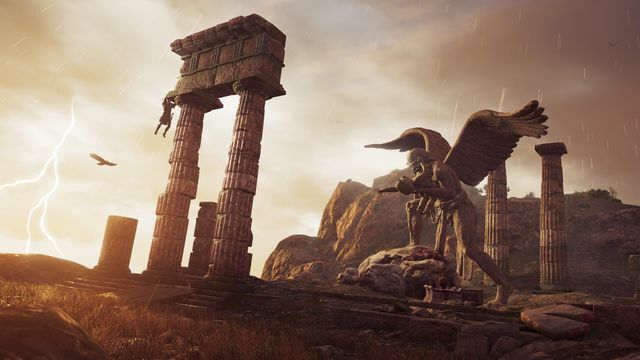 We are very fortunate to be developing a game about Ancient Greece: it’s a world of incredible contrast and beauty. While being able to explore the Golden Age of Athens and cultural boom, we can also make our mark in the brutal Peloponnesian War. There are massive expanses of land and sea, it’s a time of fantastical religion, and developing rational thought. I could go on forever, but Ancient Greece is, basically, a gold mine of inspiration. 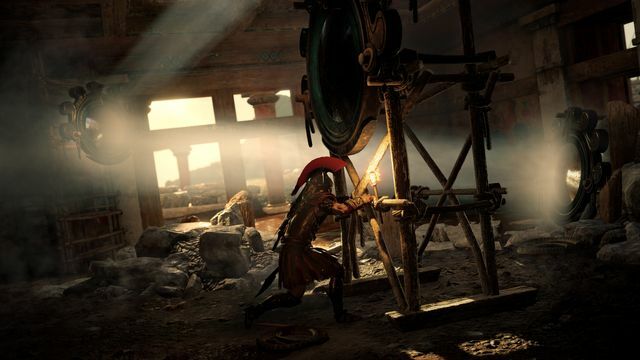 We’ve heard that the player can choose to play as Alexios or Kassandra. Could you tell us a bit about each character and how much the game changes depending on which the player chooses? 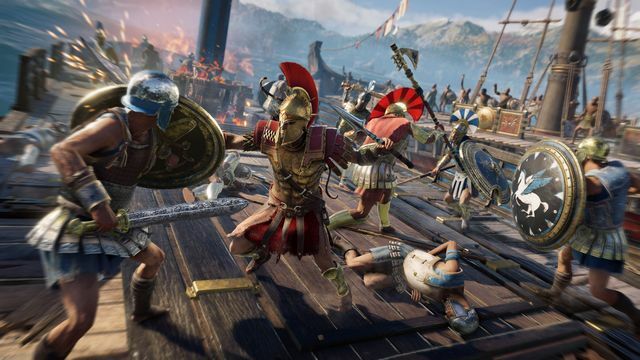 Kassandra and Alexios have the same personality and background story, and no matter who you choose, you play a descendent of the great King Leonidas of Sparta. 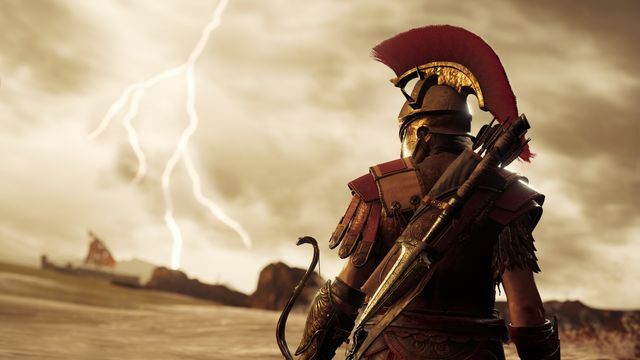 Both Kassandra and Alexios are strong-willed, hard-headed, emotional, and passionate people, but based on the decisions you make as a player, your experience and character will be unique to you. 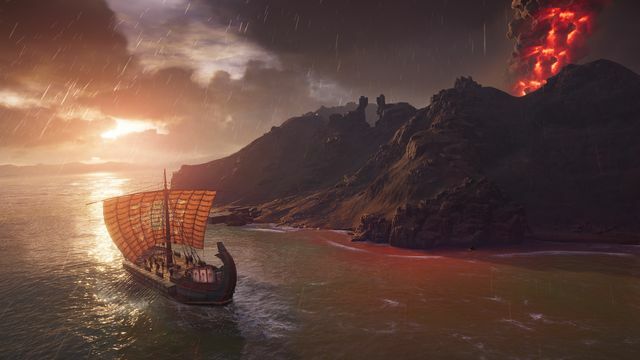 Odyssey is promising to let players choose how they play, what are some of the different playstyles on offer? Well aside from our interactive dialog system – which allows you to roleplay your character the way you want – you can adapt your fight style through our map-able fight system. We have three different areas of expertise that you can specialize (or be a hybrid of all types) in: the Ranger, Warrior, and Assassin. Personally, I’m more of an all-or-nothing type, so Sparta-kicking my way to glory through the Warrior style is what appeals to me the most, but the coolest part is, if I decide I want to change my approach you can respec your ability points at any time. Besides playstyle, you can also customize your character however you want, whether you do it to benefit which style of fighting you prefer, or whether you’re interested in a more cosmetic approach. 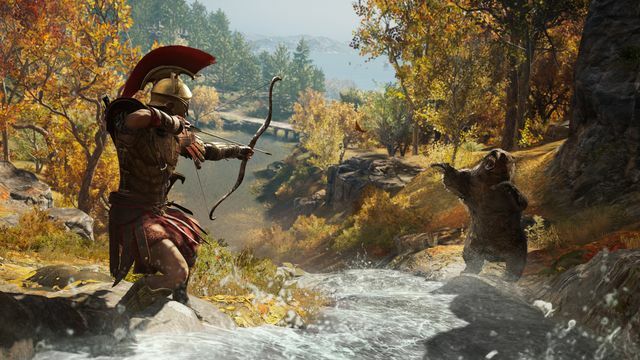 And of course, I would be sorry to forget to mention that, as the Peloponnesian war is a major part of the AC Odyssey experience, you can also choose which side you fight for: Sparta or Athens, and you can switch side whenever you want depending on what you feel is in your best interest at that very moment. Odyssey also promises that players can make their own decisions that will affect the world and result in different endings. Are you able to give us any examples of how much the game can change? Different endings are a big deal for us, since it’s the first time in the franchise that we’re tackling this! We have several endings in two ways; one, there are multiple storylines (some more linear than others) which all have their endings, and then your personal story has several endings that change based on decisions you make throughout. It’s not as different as being on earth and being on the moon, but it will certainly resonate differently based on the outcome! I really can’t say anymore except: play to find out! 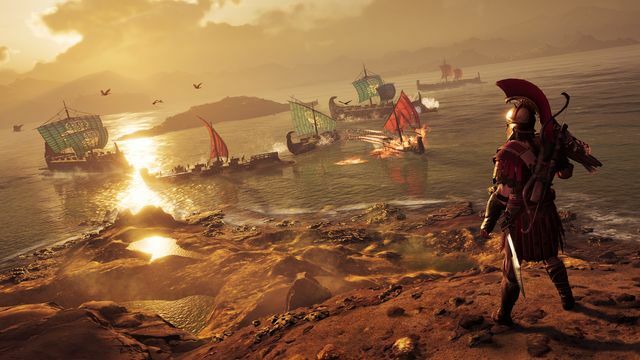 It certainly sounds like Odyssey will be the most ambitious Assassin’s Creed title yet. Giving players so much freedom must surely result in some serious challenges for you? Could you give some examples and explain how you overcome these? One of our biggest challenges on the writing team was integrating the interactive dialog system into our work routine, and making that normal was a challenge. Ultimately, however, player freedom also meant more creative freedom, so we were happy to take it on. Are there any features that you really wanted to add to Odyssey but had to cut? Might you revisit these in a future instalment? Sure good quests were cut here and there for various reasons, but you might actually be surprised how much of the game stayed intact from its first pitch and iteration. We were very lucky to work with a team that had such a strong creative vision and drive. 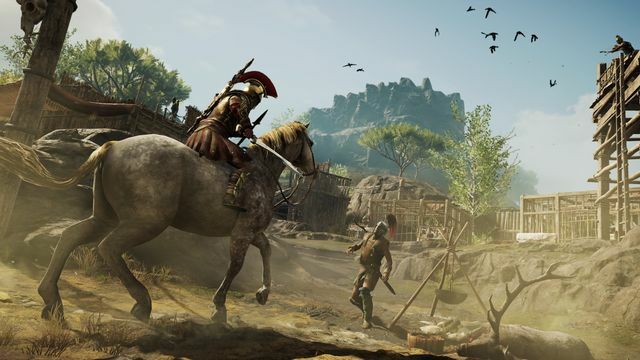 We’ve heard that there isn’t a new Assassin’s Creed game coming in 2019. When players have finished the main story in Odyssey, what plans do you have in place to keep them playing? Stay tuned for our post-launch plans! We’re very excited to share a lot more of our characters, our love of the lore, and a bunch more surprises! 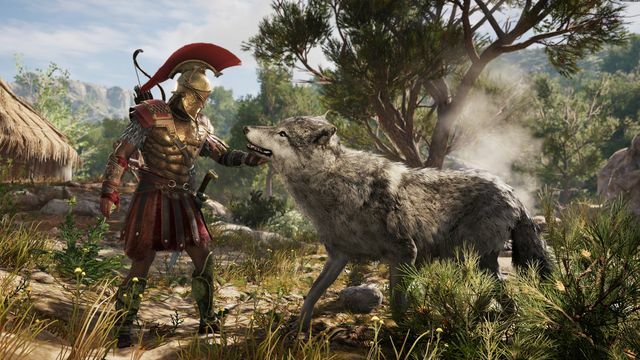 EF Games will be bringing you a full review of Assassin’s Creed Odyssey a little later this month. Check out the official Assassin’s Creed website for more information on the game.